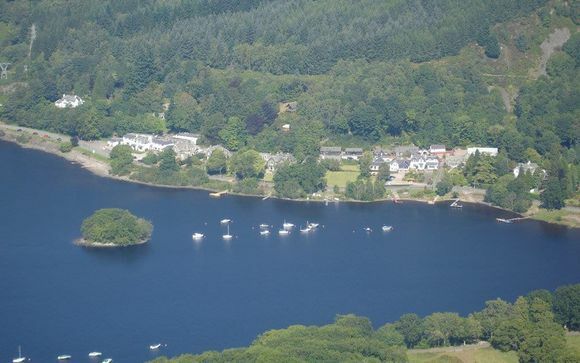 St Fillians is a delightful Scottish village, a picture-perfect spot where you can easily admire lovely views of Loch Earn. The area is known for its natural beauty. Achray House Hotel issituated within the Loch Lomond and Trossachs National Park. The hotel's central location makes for easy access, and the ideal base to explore the Southern Highlands, Scottish West Coast, and towns like St Andrews, Dunkeld, Crieff and Oban. The Loch Earn foreshore boasts Lynne Schroder's art installation, "Fish out of Water" as part of the BLiSS Arts trail of Loch Earn Tourism Information group (LETi). In fact, why not make the most of your time here and opt for our car hire option to truly discover the area and its surroundings? Glasgow is just over an hour away by car, and Edinburgh is under two hours so set off early and combine countryside delights with city excitement! This wonderful country hotel is renowned for attentive friendly service, and the hosts Bradley and Zelda along with their friendly staff are always on hand to help guests and make sure your stay is a memorable one. 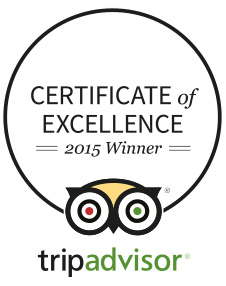 In addition to spacious upmarket bedrooms and cosy public lounges, the hotel's much-lauded food is always a highlight! Free Wi-Fi is available throughout the hotel. Due to the rural location of St Fillans, Perthshire, guests are advised to check networks supported in the area. Bradley and Zelda look forward to your arrival for a rewarding and relaxing stay at Achray House Hotel. 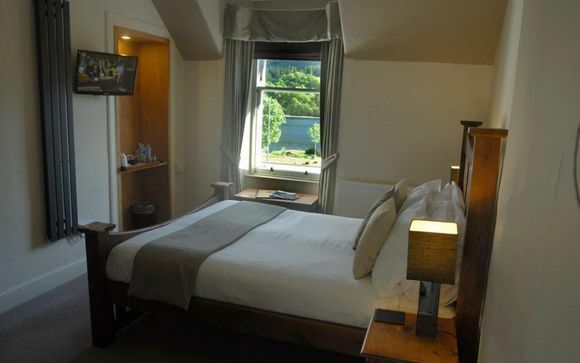 This offer is based on a Loch Facing Room or a Superior Loch Facing Room. 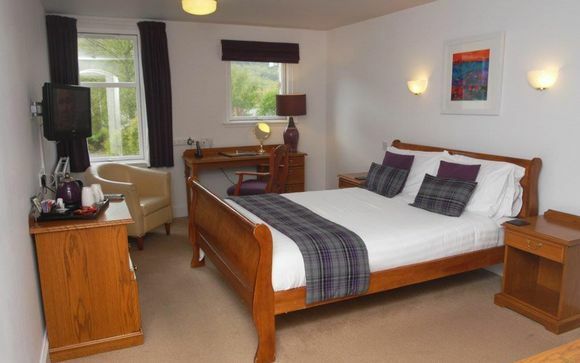 Enjoy striking views out over to the Loch, as well as pleasing decor and comfortable furnishings. Located on the ground floor, these rooms are perfect for a relaxing stay. Situated on the top floor, the superior rooms offer an elevated view of the loch and all the comforts you'd expect from a quality hotel room. This offer is based on a half board stay. (Breakfast and evening meal served in main restaurant - dinner includes a starter, a main, a dessert and a cup of coffee/tea from the la carte menu). The idyllic Achray House conservatory restaurant makes dinner a daily highlight, overlooking Loch Earn and surrounded by the natural beauty of St Fillans. The kitchen uses only the best local produce available, carefully selecting seasonal ingredients for the a-la-carte menu to ensure even international cuisine has a Scottish slant. Enjoy inventive dishes such as haggis bon-bons, home smoked salmon and venison fillet, finished off with the Achray Cranachan or Zelda's famous cheesecake. Adjacent to the conservatory restaurant, the Achray House Bar provides a warm atmosphere and interesting company to enjoy your favourite dram while reclining in luxurious leather couches, before or after dinner. Try an 'Achray Sparkler', or go on a Single Malt Journey, from the impressive selection of 54 whiskies (including the House label), or choose from their growing selection of gins, and wines from various regions. Transfers: are not included with this offer. Distance from Edinburgh airport is approximately 1 hour ten minutes. The minimum age for driving a hire car in Scotland is 21 and drivers must have held a full driving licence for a least 1 year.